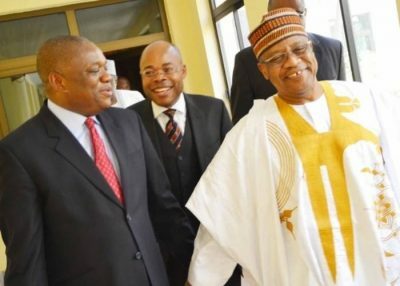 Orji Kalu, former Abia governor, on Tuesday pleaded with Ibrahim Babangida, former military head of state, to support President Muhammadu Buhari’s re-election bid. Kalu, who met with Babangida in Niger state, told journalists that he begged the former military leader to endorse Buhari for a fresh term in office. He said: “I am in Minna to campaign for President Muhammadu Buhari. At the meeting with Babangida, I pleaded with him to support Buhari’s re-election bid. Kalu said consultations were ongoing, both at home and abroad, over Buhari’s re-election bid. The former governor said Buhari deserves a fresh tenure because he has done very well.